CHECK OUT THE LATEST BEAUTY DEALS & PROMOS FOR OCTOBER 2015! LOOKING FOR SOME GREAT BEAUTY SALES & STEALS?! I always love this time of year when all of the new beauty products, colors, and styles come out for the Fall/Winter seasons! Finding a good deal has been a big motivation behind many of my beauty purchases since I started back to school a couple of years ago. What I didn't at first realize, is that with just a bit of searching to the right places- there were all kinds of great deals waiting for me :) Promo codes seem to be the best bet for me as I end up getting the biggest discounts or freebies in addition to free shipping and a discount off of my purchase. LPSET - 12 FREE Living Proof Samples with ANY $25 Purchase ! KBEAUTY -Get a FREE Skincare Deluxe Sample Bag with ANY $25 Purchase. 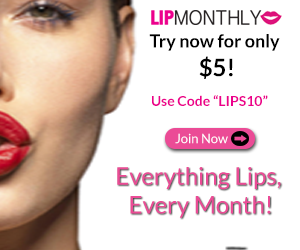 VIBTOKENS - Score a FREE Buxom Mini Lip Collection with ANY $35 Purchase* for VIB members only! YOURGIFT -Snag a FREE Deluxe Mystery Gift with a $25+ purchase! EMPOWER - Get a FREE Ole Henriksen Empower Featherweight Moisturier Deluxe w/ANY $25 order *expires 10/4/15! MANIPEDI -Score a FREE Manicure Sample bag with ANY purchase of $25. TARTEOILFB -Get a FREE Deluxe Sample of Tarte's Maracuja Oil with your order of $25+! COYFB -Snag a FREE Pantone Color The Year Notebook w/a $25 purchase. COSMO -Get a FREE 2-yr. subscription to Cosmopolitan Magazine with a purchase of $25. KBEAUTY - A FREE K-Beauty Mini: choose from Korean skin care deluxe samples from Erborian, dr.Jart, belif, or Amore Pacific with ANY $25 purchase! 205730: Get $5 OFF of your order of $15 or more! 300416/308310: Snag a discount of $3.50 off of select $10 orders. 308920: Same or deal above OR get FREE shipping on order of $50+ ! Get your first beauty box for FREE with codes: BOO or SHIMMER ! Get a FREE 5 pc. Gift with ANY purchase of $40 bareMinerals purchase *expires 10/24/15 OR while supplies last! Snag a FREE 4-pc Sampler with ANY $40 Smashbox purchase *EXPIRES TODAY!!! Score a FREE full-size Beautifully Blushed Blush-N-Brighten, Blush Brush, & Silver Makeup bag with ANY $45 Laura Geller purchase! FREE OPI Gold Cuff w/select $19 OPI purchase *EXPIRES TODAY!!! Get a FREE Dermalogica Cleanse and Prime Set with ANY $60 Dermalogica purchase. *expires on 10/3- TODAY! Play the "Shake up a NEW Prize EVERY DAY Game" = go back every day for a chance to get 10% OFF, a deluxe sample, 150 extra Beauty Insider points or 3X's the points with your purchase! Get the boscia Cool, Calm, & Protected Duo for ONLY $35 *Limited Edition! Score Tarte's Miraculous Maracuja Makeup Setting Spray for only $26 [a $3 discount!]. Anna Sui Travel Purse Spray Trio for ONLY $25- normally $49! bareMinerals MINERALIXIRS Facial Cleansing Oil for a $9 discount = ONLY $21!